VFX blog for experiments in CG. Orthographic panels are laid out and modelling begins. Currently scale-less working to image import default. Will resolve once blocking is complete. Using photoshop slices to export orthographic panels. By pre-naming slice panels you can just change the root image folder and HTML export names. This ensures consistent panel size and naming. 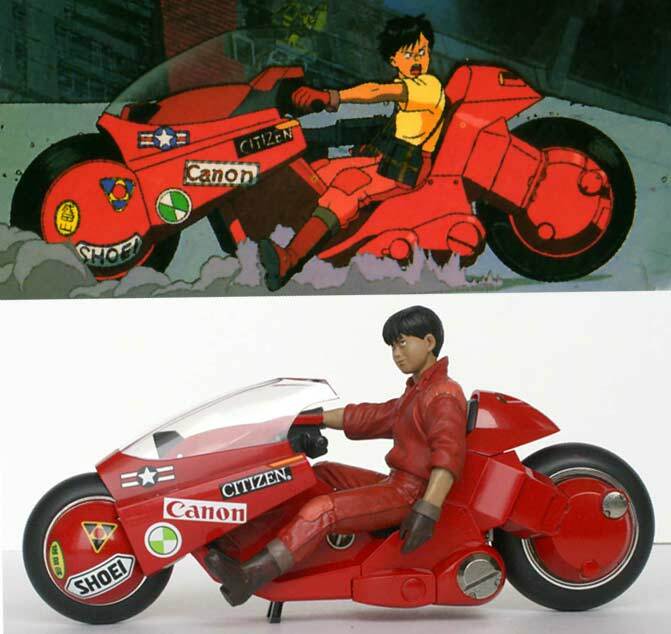 Orthographic layout for Kaneda’s bike using the 2004 Bandai model as the primary source. This has a nice overlay of internal and external elements giving it an x-ray quality. If it is undeniable that the movie Akira was remembered for the quality of its implementation and its scenario, we must also recognize that Kaneda’s bike has left an indelible mark in the minds of bikers. What the Tech Am I Doing?